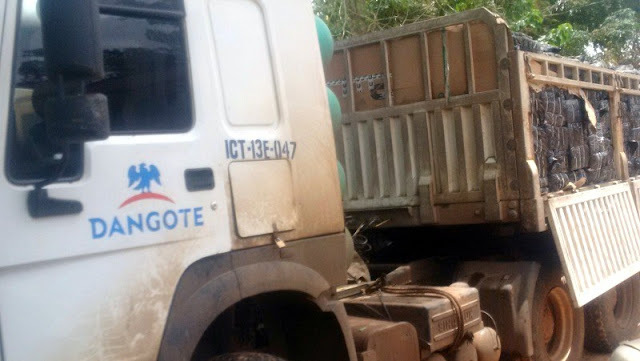 management of the pan-African Conglomerate, Dangote Group, has solicited the help of members of the public to assist in apprehending persons engaging in illegal haulage activities with the organization’s trucks. Consequently, the company has announced a mouth-watering monetary reward for any member of the public who volunteers information that would lead to the arrest of such persons by the law enforcement agents. The management disclosed that a sum of N250,000.00 would be given as reward for any person who help in tracking unscrupulous drivers and confiscation of the illegal goods. Dangote also warned those who illegally transport materials on Dangote trucks that such unauthorised goods shall be confiscated and such drivers and owners would face the full weight of the law.